Get hyped! Arbor Snowboards "Cosa Nostra" is coming! We still can't get enough of the backcountry in Japan! A banger backcountry edit by the Arbor Snowboarding team. Must watch! 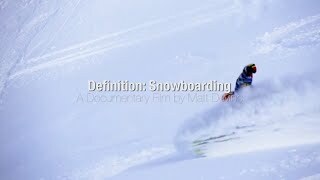 Film idea: Ask snowboarders what snowboarding is all about.